Skara Brae is one of the most visited attractions on Orkney, and very few people come to these islands without making the pilgrimage to this remarkable 5,000 year old village. 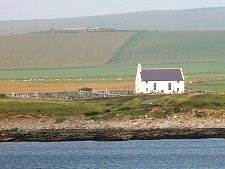 But how many who enjoy the view from Skara Brae across Skaill Bay notice the beautifully restored St Peter's Church on the far side? 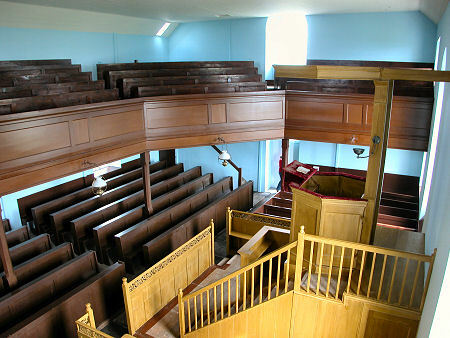 St Peter's has been described by its owners, the Scottish Redundant Churches Trust, as "a 19th century Scots presbyterian kirk in its most austere form". 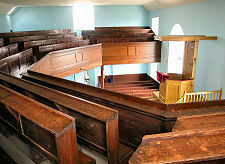 It was this that led them to acquire the church and raise the £250,000 needed to restore it to what you see today. Before restoration the church was grey in colour, and one of the two arched windows on the south side had been walled up. In those days you could have been forgiven for not spotting the church from the far side of the bay it overlooks. A great deal of work to the roof, walls and interior have taken the church back to something more easily recognisable to those who built it in 1836; though perhaps it is now in rather better structural condition. 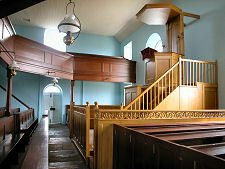 The church was built partly on the foundations of its predecessor on the site and partly on sand. In 1845 the minister of the day, the Rev Thomas Clouston, recorded cracks in the wall and the collapse of a window and noted that the church "gives little prospect of durability". He was wrong. 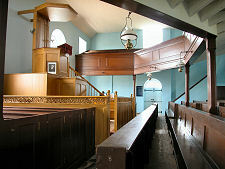 The church today is what many call a "preaching box": all the pews face the imposing pulpit at the centre of the south wall, including those in the impressive gallery which sweeps round three sides. 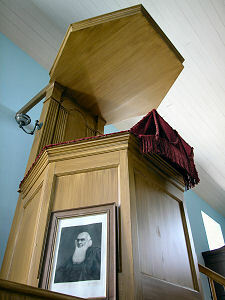 Nothing was provided to distract the congregation's attention from the preacher. In many churches the effect of this approach can feel oppressive: but here it doesn't, perhaps because of the lightness of the walls and the quality of light flowing in from across Skaill Bay. The slight detour to St Peter's makes a fascinating addition to a visit to Skara Brae. 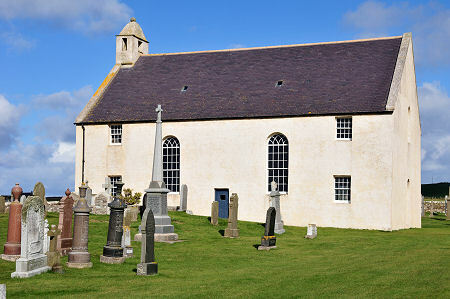 But when visiting, remember that the Scottish Redundant Churches Trust rely heavily on donations to carry on their work of safeguarding our ecclesiastical heritage.